There is no need to feel guilty about getting your daily dose of java. 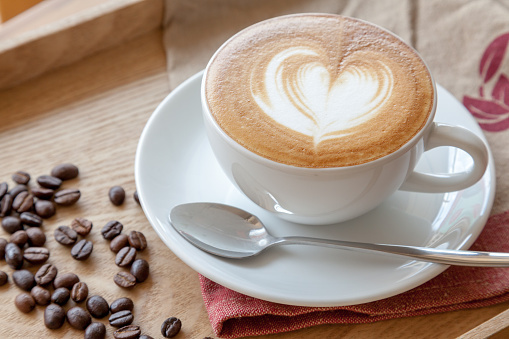 A recently published study in the journal Circulation revealed that increased coffee consumption may reduce the risk of heart disease and mortality. Coffee is a popular beverage that many people worldwide consume to help get through their days. If you are a regular coffee drinker, you’d probably agree that if you don’t get your daily coffee fix, then you won’t be able to function. Because of its popularity, researchers have studied coffee and its effects on people’s health quite extensively. In fact, studies have linked coffee consumption to a reduced risk of diabetes, several types of cancers, neurological diseases, and heart disease, when consumed in moderation. However, the final ruling as to whether it evokes a beneficial effect or poses a risk still needed to be explored. Therefore, researchers from the Harvard School of Public Health from Harvard University evaluated the association between coffee consumption and risk of mortality within three large prospective cohort studies. The three large cohorts included over 200,000 individuals from the Nurse’s Health Study, the Nurse’s Health Study 2, and the Health Professionals Follow-up Study. There were just over 30,000 recorded deaths over the twenty to thirty year period. Researchers evaluated both caffeinated and decaffeinated coffee consumption by administering food frequency questionnaires to all participants. Individuals also completed a questionnaire regarding their lifestyle habits and medical histories. Investigators evaluated individuals’ coffee intake at the beginning of the study, and additionally every four years following that. Their findings revealed that when compared to non-coffee consumers, increasing one’s coffee intake, up to five cups of coffee per day, reduced the risk of death resulting from heart disease, stroke, and neurological diseases. It also reduced risk of death from diabetes among smokers. While the risks may have slightly increased with excessive amounts, for individuals consuming more than five cups of coffee per day there were no significant increased risks of death resulting from any disease. Since researchers based their results on observational data, there cannot be any cause and effect relationship. However, experts can draw associations within the data. Drinking coffee seems to be more common among smokers and coffee drinkers are also more likely to enjoy alcoholic beverages, but consume less sugar-sweetened ones. The verdict is still out as to whether there is a true benefit to individuals increasing their coffee intake, but it seems to have a place within a healthy lifestyle. Of course, all those ‘extras’ added to coffee can impede on its potential benefits. Welch, A., “Coffee drinking linked to a longer life,” CBS News web site, November 16, 2015; http://www.cbsnews.com/news/coffee-drinking-linked-to-a-longer-life/.